Scientists from the University of Pittsburgh School of Medicine may have found a way to artificially create working organs after using human cells to regenerate a mouse's heart. As a delicate operation, the procedure has made great improvements in the effort to reconstruct human organs. Using proper environmental control systems, research labs can be kept at appropriate temperatures needed for regenerative experiments. Without it, the samples could be contaminated and made unusable. The efforts of the university have centered around the fact that heart disease is the highest cause of death in the U.S., and current therapies are ineffective for over half of patients with the condition, according to Health Canal. The experiment has created an opportunity for additional testing in order to make regeneration a reality. 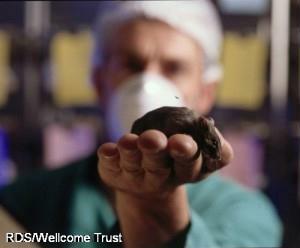 The scientists were able to completely rebuild the mouse's heart with human cells. The mouse's heart had been completely stripped of all cells and repopulated with the replacements, according to Science World Report. The heart was able to contract at 40 to 50 beats per minute after a few weeks, and research is continuing to ensure the organ is strong enough to pump blood. Thanks to this recent development, the future may produce regenerated organs that can be used in transplants, making up for a lack of available donors. The method could also be used to test drug effects and heart development. "One of our next goals is to see if it's feasible to make a patch of human heart muscle," said Dr. Lei Yang, the university's assistant professor of developmental biology. "We could use patches to replace a region damaged by a heart attack. That might be easier to achieve because it won't require as many cells as a whole human-sized organ would." The environmental conditions of lab samples could hurt the research process if they are not kept in the appropriate temperature. Having enough humidity and air flow is also important in the samples' usability. Biological tests, like that of the heart regeneration, are extremely sensitive, and temperature monitoring has become important in the research process, according to Medical Laboratory Observer. Temperature sensors are very accurate in measuring the environment, and some take less than a second in response time during changes. Samples have differing ranges they can be in, and doing research under the recommended conditions will prevent them from being compromised. The ability to store varying materials in their optimal environments has allowed scientists to explore other options to meet their objectives. For example, the university researchers used multipotential cardiovascular progenitor cells taken from a human skin biopsy as the replacement for the removed cells in the mouse heart. "Nobody has tried using these MCPs for heart regeneration before," Yang said. "It turns out that the heart's extracellular matrix – the material that is the substrate of heart scaffold – can send signals to guide the MCPs into becoming the specialized cells that are needed for proper heart function." Lab research tends to contain delicate processes that could be ruined in an unsuitable environment. Investing in monitoring and control systems will help keep samples usable and aid in the advancement of new procedures.